This was a week where there was a lot of big statements about climate change - impacts, readings, needs, action, inaction, firsts, progress and delays. The debate also welcomed a new high profile advocate for action on climate change - the new Mayor of London. The Guardian reports world leaders have failed to come to grips with the epic challenge of phasing out fossil fuels and running the entire global economy almost entirely on clean energy by the middle of this century, experts said this week. “While more than 170 countries converged at the United Nations on Friday to demonstrate their support for the landmark deal to fight climate change reached at Paris last December, economists and scientists warned the accord’s goal of keeping temperatures below 1.5-2C may already be slipping beyond reach,” the Guardian reported. “While we should be celebrating the signing ceremony on Friday we need to be aware of the gap, where the current contributions add up to and where we need to go,” said Shane Tomlinson, a senior research fellow in energy and climate change at Chatham House. “Why is it that with an administration that is gung-ho on climate we are in the eighth year and there is no plan at all? No sketch, no white paper, no scenario to 2050?” Sachs told a gathering this week. The World Bank was also active on other impacts this week. The Washington Post reported the World Bank has released a new report finding that perhaps the most severe impact of a changing climate could be the effect on water supplies. The most startling finding? The report suggests that by 2050, an inadequate supply of water could knock down economic growth in some parts of the world with a figure as high as 6 percent of GDP, “sending them into sustained negative growth.” ”Regions facing this risk — which can at least partly be averted by better water management, the document notes — include not only much of Africa but also India, China and the Middle East,” The Washington Post reported. Water was also a problem elsewhere. The Conversation reports at least five reef islands in the remote Solomon Islands have been lost completely to sea-level rise and coastal erosion, and a further six islands have been severely eroded. These islands lost to the sea range in size from one to five hectares. They supported dense tropical vegetation that was at least 300 years old. Nuatambu Island, home to 25 families, has lost more than half of its habitable area, with 11 houses washed into the sea since 2011. This is the first scientific evidence, published in Environmental Research Letters, that confirms the numerous anecdotal accounts from across the Pacific of the dramatic impacts of climate change on coastlines and people,” The Conversation reported. The Guardian reported the world is hurtling towards an era when global concentrations of carbon dioxide never again dip below the 400 parts per million (ppm) milestone, as two important measuring stations sit on the point of no return. The news comes as one important atmospheric measuring station at Cape Grim in Australia is poised on the verge of 400ppm for the first time. Sitting in a region with stable CO2 concentrations, once that happens, it will never get a reading below 400ppm. There was some good news on electricity generation in Europe this week. The Telegraph reports Britain generated no electricity from coal on Tuesday morning for what is believed to be the first time since the 19th century, in a major milestone in the decline of the polluting power source. Experts from Argus Media and Carbon Brief said they believed this was the first time there had been no coal running since the era of central electricity generation began with the construction of the UK’s first coal plant in 1882,” The Telegraph reported. Meanwhile, Quartz carried a story that Germany hit a new high in renewable energy generation last Sunday. “Thanks to a sunny and windy day, at one point around 1pm the country’s solar, wind, hydro and biomass plants were supplying about 55 GW of the 63 GW being consumed, or 87%. Power prices actually went negative for several hours, meaning commercial customers were being paid to consume electricity,” Quartz reported. In Australia, the election campaign is in its first full week and climate change dropped to the back of the pack in coverage. The Prime Minister didn’t mention climate change as an issue in his election announcement. The issue figured prominently in announcements by the opposition Labor Party and the Greens. The Sydney Morning Herald reported on a report that recommends putting a price on emissions from the electricity sector has been held back by the Climate Change Authority until after the election, prompting calls from Labor and the Greens that it be made public to inform debate. “The independent authority, whose board is now dominated by appointments made last October by Environment Minister Greg Hunt, was to have released its policy options paper for the power industry by the end of April. The board, though, decided to withhold the report - along with the large Special Review due out by June 30 - until after the election, "assuming it is called for early July," the authority said on its website. A spokesman for Mr Hunt said his office had not seen the reports. He also dismissed the possibility that the government would have withheld a report favouring a wide-ranging carbon price on the eve of an election,” The Sydney Morning Herald reported. It said leaked details of the Climate Change Authority's electricity industry "policy options" report said "a mandatory carbon price of some form is desirable in the sector”. Let’s end on some good news. 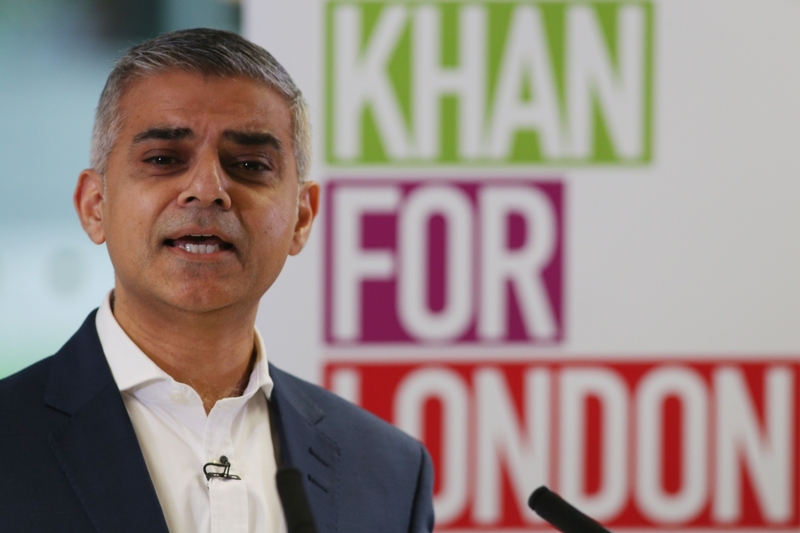 A clean energy advocate became the Mayor of London this week. Labour’s Sadiq Khan promises to be the "greenest Mayor ever" after being swept into City Hall by a clear majority, according to Edie. “Boris Johnson’s successor Khan has previously outlined his ambition to ignite a “clean energy revolution” in the capital, with the ultimate aim of running London on 100% green energy by 2050. This bold statement will now be tested during Khan's tenure along with his list of green manifesto pledges including banning fracking in London, planting two millions trees, providing more electric buses, and expanding the Ultra-Low Emission Zone (ULEZ) - as well as attempts to divest the London Pension Fund Authority of its remaining investments in fossil fuel industries,” Edie reported. It is great to have a person in such a high profile role who is ‘fluent’ in climate change and renewable energy. Hopefully, we will see more of that globally.